Experienced guitar teacher of 22 years available for eager beginner and intermediate students of all ages! I structure my lessons so students learn what they want to learn, while also building a strong foundation of rhythm, chords, knowledge of the instrument and proper hand skills. I specialize in pop and rock and typically use songs the students choose to help them develop their skills. Athena delivers an exceptional lesson experience and ranks in the top 15% of our teachers nationwide. 3. I will do everything I know how to do to make sure that what I have learned that will benefit you becomes something you have mastered. If I could take the "computer chip" in my head and put it in yours, we would do that. Study with me and you will get the next best thing! Four happy sisters gave me Million Dollar chocolate bars to celebrate Teacher Appreciation Day.I feel appreciated! Noisy, but yes, those are my hands! Turn your volume DOWN to hear this best. We wanted to try this out for our 8-year-old daughter who had 5 hours of lessons in-home by another teacher/company. We wanted to compare the experience and learning on the two different methods. Athena was fine, but wished SHE kept better notes on what had been done the previous week(s), instead of counting on our 8-year-old to remind her. So much time was taken up repeating back the same things. Seems like a "set" course/lessons with attachments ahead of time would have worked better for us. I understand every student is different but a Beginner is a Beginner and they all need to learn the basics. Athena is amazing! My daughter is so happy that she helped her a lot and clearly even though it's an online class. She is the best! Def. I will recommend her and def. we will extend the class. Thanks Athena! Athena explained the electric guitar very thoroughly. I think I’m going to enjoy playing it more. As soon as I can get my left hand to cooperate and keep my thumb in the right position where it’s supposed to be, I’ll feel better,so I’m going to work on this all week. My daughter loves Athena and thus loves playing the piano . Athena has a special way to relate to kids.. they listen to her . They laggy . They enjoy class. And they want to learn . I am so grateful we have her as my daughters teacher . Athena was very knowledgeable as well as a great listener very tuned into the areas I want to improve in. I went away very encouraged and looking forward to our next lesson. Athena is a great teacher. I”m motivated to learn and I always look forward to having piano lessons with her. We had our first class yesterday with Ms. Athena. She was great. My daughter loved her class. We loved Athena! We had a time crunch and she took the challenges! She understood quickly what my son (with little singing experience) :) needed to achieve. She patiently guided and taught him the vocal basics. We accomplished exactly what I hoped for. I highly recommend Athena for all levels. Athena was very easy to listen to.and understand. I was very at ease with her way of teaching and explaining things. This will be a fun time. Athena is extremely patient with my 7 year old! He is progressing faster than I ever imagined!!! Right away, Athena eased my son's nerves with her gentle approach and quirky humor. She understands how to meet a student where he is and take it from there. No undo pressure. Only joy. It's exactly what we were looking for. Great first timer experience with Athena! She is the nicest teacher I've had since I was a child. She came to my home and was very friendly. She is very informative and knowledgeable. I learned a lot about her as she did me. I am really looking forward to working with her and becoming one of the best pianist. It will take a lot of work. But I am looking forward to it. I know it can be hard to chose a teacher blindly on take lessons but Athena is truly the best. I know my son is not easy to teach and after a few months he is proudly playing notes that he can read himself. I am very happy and pleased that we chose her. Athena has been awesome. She has been teaching one of my daughters keyboard and the other two ukulele for a few weeks now and they all love her. She inspires them to continue to learn and practice. Athena is a great teacher. She really knows how to respond to individual needs and skill level of the student. In just a few lessons, she has already cleared a lot of obstacles for me, like addressing why was having pain in my hands and helping to correct that. Now I cannot wait every day to practice the guitar and I'm playing a song I've always wanted to play and it sounds recognizable after only three days. With more work on my part, I am sure that it will get better, and I know that Athena will keep giving me guidance that I can understand. And, she's fun! Athena was great, patient and easy to work with! Athena is a great teacher. Her instruction is easy to follow and I feel like I am off to a great start learning the guitar! She is very patient. I am a complete beginner, she was very patient even though there were logistic issues. Knew exactly the right questions to ask to find out where you were to find a starting point, very helpful in showing you the physical positions to help you be comfortable while you play/learn. Felt like we were on the same page, and not intimidated when my playing was pretty bad haha. Very glad she's my teacher. Athena is great! She has a great big personality and it shows in her passion for teaching. She has really helped me to unlearn some of the things that I learned when I took lessons when I was younger, and helped me focus on new techniques. She focuses the lesson on what I want to learn about and always keeps the end goal in sight! She is a great teacher! Athena is an AMAZING teacher!!! She had my 6 year old daughter playing a song on the very first lesson in a way that my daughter wanted to practice it all week. During the lessons all I hear coming from the room is piano playing and laughter. Her lessons are everything I wanted - full of laughter and learning. She isn't just teaching piano. She's teaching my daughter to love it! Great instructor for guitar lessons. Learned a lot in just the first day! Miss.Athena was a blessing to my son. Her cheerfulness is very infectious. She was a perfect teacher for my highly energetic 5 year old son. She knew how to bring the best out of him and at the same time challenge him to do better. 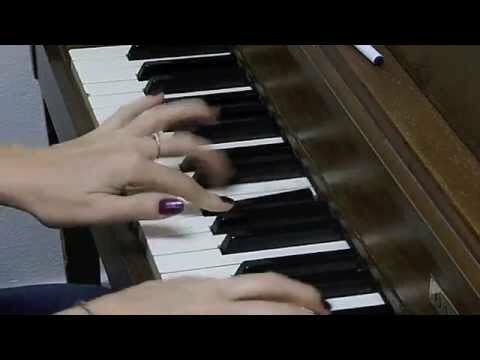 Her knowledge and flair in playing the piano is a treat to watch. We moved 30 miles away from Fullerton hence had to discontinue the classes because of the distance. Thanks Miss.Athena for instilling the love of playing Piano in Ashwin. We miss seeing you! Great start. Great teacher to work with. Looking forward to our next meeting. Athena is an excellent teachermy soon is enjoying his lessons and she makes it fun and interesting. Nola had a great time, she is already practicing her song. She is so excited. Thank you, by the way, she loves dogs. She has a boarder collie named Snoopy. Athena Has Been An Amazing Piano Teacher! She Has Such Amazing Patience & Is Really a Great Teacher! She Helps You Focus On The Important Points & Makes You Feel Comfortable When You Mess Up. She Understands Learning A New Instrument Takes Patience & Time & She's There To Strengthen Your Weak Points. Athena is a good teacher and I am learning a lot and look forward to continuing with her. So full of information that even after countless training years ago. First lesson I have elevated my speaking skills to another level. I HIGHLY RECOMMEND Athena to any one seeking lessons wither you are beginning, intermediate or an expert (WhichI thought I was). My daughter has taken voice lessons with a previous teacher before (not from Take Lessons). Everything with Athena is completely different, however my daughter's singing has developed greatly. My daughters is already projecting more and she has become able to sing loudly and clearly. I am very pleased with my daughters lessons and I would highly recommend Athena to others! I feel blessed to have received instruction from Athena. I highly recommend her to any student who wishes to be taught by an authentic, highly qualified, passionate, and inspiring teacher. Athena has been extremely helpful and understanding about the physical impediments regarding my lessons (arthritis, or something like it). She is also great at giving me tools to figure things out for myself. She encourages rather than discourages, and helps motivate you by making the things you are interested in a part of the program. So far I am very happy with her and feel like I might actually be able to make this happen. I'm experiencing some great Ah-Hah moments, vocal exercises and insight on why I've sung like I've sung, and how I can work to sing better - quickly. She is an awesome teacher. My daughter Pabodha took more than 30 lessons from her .Now she is much improved in her singing and piano. She is easy going and fun.Her all lessons were helpful and very informative. Definetly recomend her to all ages. She would go back to get more lessons when she is free from her busy schedule. Athena is perfect for me. She is upbeat and encouraging. She is on time on-line, and she couldn't be better. The time flies. Athena was amazing! I came to the Helpout expecting to get a melody line or some chord progressions, but what I got ran so much deeper. She was able to cut through the tug-of-war between artistic and intellectual and point me in the direction I'd been trying to go. I will definitely be back! Athena is a great teacher and I am learning a lot. She is easy-going and fun. Really loved Athena. I wanted more of a Q and A session because I took lessons a year ago and just had a ton of questions and needed tips on how to push through blockages in my learning. She was super helpful, charismatic, explained things in an easy to understand way, and used great analogies for me to really grasp the concepts. I actually asked her for ukulele help in addition to guitar. She also is knowledgeable of piano and mandolin in addition to the first two I mentioned. Five stars for sure! Athena was great today with her super power chord! I'm gonna practice more and more! She Is A Good Teacher....Im Very Happy To Work With !! I love these lessons and i've only taken 1! I will absolutely come back without a dout! And I would recommend the lessons to anyone. I had a lesson with Athena and it was very fun and informative. She was very patient and helpful the entire time! Awesome teacher, would definitely recommend her! I was thinking about purchasing a new guitar but was unsure about how to go about buying something that good benefit me down the road when switching from genre to genre. Athena helped me come up with a mental checklist next time I go into a guitar store. Awesome input and something I would never think about! Athena is a fantastic coach. She is enthusiastic, very encouraging and makes me feel very comfortable as I am brand new to singing lessons. I have learned so much in such a short time and am looking forward to continue working with Athena and sharpening my skills. You will be very pleased working with her. Love Athena! Athena has my daughter so excited for her next lesson. My daughter looks forward to her lessons and Athena makes them interesting and fun. She explains each step completely and on a level that keeps her interest. "Athena ROCKS", per my daughter! Athena has the ability to cut through and get right into what is going to help you the most. She has an innate ability to be able to find out what's holding you back and devising the perfect exercises to break through those barriers. One of my girls takes singing lessons with Athena. She LOVES Athena. All 4 of our girls also take piano lessons with Athena. It is not easy to find a teacher that teaches Piano and Voice/Singing lessons. We are so lucky to have Athena. She brings so much positiveness to my daughter during her singing lesson. My daughter is really enjoying learning to sing. 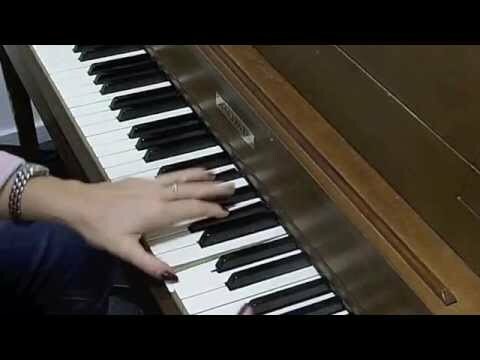 PIano teaching at its BEST! We LOVE Athena. Our 4 girls take lessons with her and our girls are already playing songs and they are so enthusiastic to learn with Athena. She brings out the wonderful element of the love of learning music with my girls. Athena is so positive and encouraging. If I could give her more than 5 starts I would!! Thank you Athena!! I also want to thank Steve at Take Lessons for his professionalism. He coordinated everything for us. It was so easy and a very smooth process. I've never had singing lessons before so this was a new experience for me. Athena was very positive and encouraging, especially to a beginner such as myself. Even though I felt silly or awkward at times, she made me feel comfortable. She is realistic about my goals and accommodating to my needs. I was impressed by her knowledge of the human body and how it applies to singing. I know I have a lot to learn from her. I hope to continue learning from her so that I can sing better. Athena is a kind and talented teacher whom I would recommend to any student!